The violent rampage on Friday in Isla Vista, Calif. that left seven people dead -- including the perpetrator -- and 13 people seriously injured, has refocused national attention on the shortcomings of the mental health system and how to identify and treat people who may pose a risk to themselves and others. 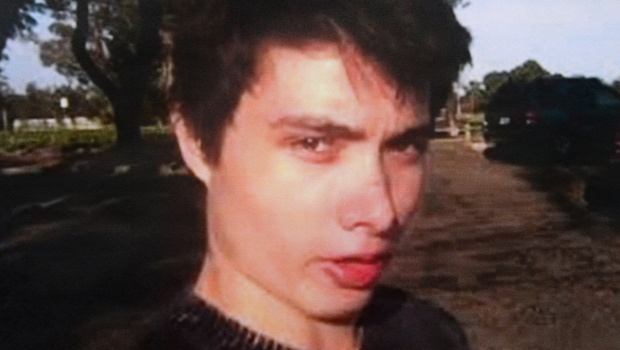 From his video posts and written "manifesto," 22-year-old Elliot Rodger appears to have been a lonely outcast, deeply disturbed, paranoid, anxious, and prone to violent thoughts -- though he did not appear to have a record of violent behavior before Friday. His parents repeatedly attempted to get psychiatric help for their son. By his own account, he was prescribed antipsychotic medication but refused to take it. Dr. E. Fuller Torrey, a leading expert on severe mental illness, told CBS News' "60 Minutes" in 2013 that many mass killings turn out to be committed by mentally ill people who were not receiving treatment. "About half of these mass killings are being done by people with severe mental illness, mostly schizophrenia. And if they were being treated, they would've been preventable," he said. In Rodger's case, while a number of clues about his mental health have come to light, many questions remain. "My Psychiatrist ... Dr. Sophy ended up giving me the same useless advice that every other psychiatrist, psychologist, and counsellor had given me in the past. I don't know why my parents wasted money on therapy, as it will never help me in my struggle against such a cruel and unjust world. The doctor ended up dismissing it by prescribing me a controversial medication, Risperidone. After researching this medication, I found that it was the absolute wrong thing for me to take. I refused to take it, and I never saw Dr. Sophy again after that." Risperidone, also sold under the brand name Risperdal, belongs to a class of drugs known as atypical antispychotics. According to WebMD, it is often prescribed to treat mood disorders including schizophrenia and bipolar disorder, as well as irritable or disruptive behavior associated with autism. There is evidence that antipsychotic drugs can help reduce violent behavior in patients with severe mental illness. One recent study published in the journal Lancet found that in patients prescribed antipsychotic drugs, those who took their meds had a reduced rate of violent crime compared with patients who -- like Rodger, by his own account -- did not take the drugs. One other fact known about Rodger's medical history is that he was diagnosed at a young age with Asperger's syndrome, according to a family spokesman. Asperger's is a complex neurodevelopment disorder on the autism spectrum that's marked by difficulty communicating with others. Asperger's syndrome, sometimes called mild autism, was eliminated in 2012 from the DSM-V, the diagnostic manual for mental health professionals but is still a label frequently used. Many autism experts and advocates stress that people with autism spectrum disorders are no more likely than others to commit acts of violence. However, Asperger's has come up in connection with violent incidents in the past. Adam Lanza, who in 2012 fatally shot 20 children and six adults at Sandy Hook elementary school in Connecticut, also reportedly had Asperger's syndrome. Dr. Elizabeth Laugeson, an assistant clinical professor at UCLA who specializes in autism research, told CBS News at that time, "The vast majority of people with Asperger's are law-abiding citizens that don't act violently against others.... It's highly unlikely Asperger's alone would explain these violent acts." She added, "I think it would be sad to vilify a community because of the action of one person who hasn't been confirmed to have the diagnosis." In 2012, as the media tried to piece together the events leading up to Lanza's killing spree, experts such as Dr. Lawrence P. Kaplan, chairman of U.S. Autism and Asperger Association, urged the media and the public not to jump to erroneous conclusions. "Individuals affected by autism spectrum disorders are in dire need of support in their communities. Speculation on the perpetrator's diagnosis, whether autism related or not, has the potential to create an environment of harm for vulnerable populations," said Kaplan in a statement issued by the U.S. Autism & Asperger Association. There has been some research suggesting that some people with Asperger's syndrome and autism spectrum disorders may be slightly more prone to violence, but experts say the research is still inconclusive and may be explained by the fact that some of those patients are also diagnosed with psychiatric conditions. A study conducted in the late 1990s at Bradmoor Hospital, a high-security hospital in England, looked at the prevalence of Asperger's syndrome and autism spectrum disorders among men in the facility. The researchers found 1.5 to 2.3 percent of male residents had some form of autism, compared with 0.36 percent of the general population. But these findings were regarded with skepticism by others in the field. "The evidence so far does not support a specific association between the syndrome and criminal offending," says a related study published in the journal Advances in Psychiatric Treatment in 2010. "However, a small yet significant number of offenders with autism who engage in illegal behaviour find themselves socially excluded or detained in secure provisions for prolonged periods." As this story unfolds, it appears Rodger may have been grappling with mental illness well beyond the problems of Asperger's. If so, he would not be alone. There has been some research that indicates people with autism may be more likely to develop other psychiatric conditions. In a 2008 study published in Clinical Neuropsychiatry, researchers at the University of Michigan Medical Center evaluated 28 people with autism spectrum disorder. Among that group 21 -- or 80 percent -- were found to have an additional psychiatric condition. But whatever his diagnosis ultimately was, or should have been, the problem remains that often people who need treatment the most are least likely to understand the severity of their problems. Dr. Torrey told "60 Minutes" he's seen that pattern among other mass killers. "Every person I've taken care of, and I've taken care of several hundred of these people, had a very good reason for doing what looked to be crazy behavior. But in their mind, it wasn't crazy behavior. It was in response to something that was very logical, that their voices were telling them, or that their delusions were telling them."